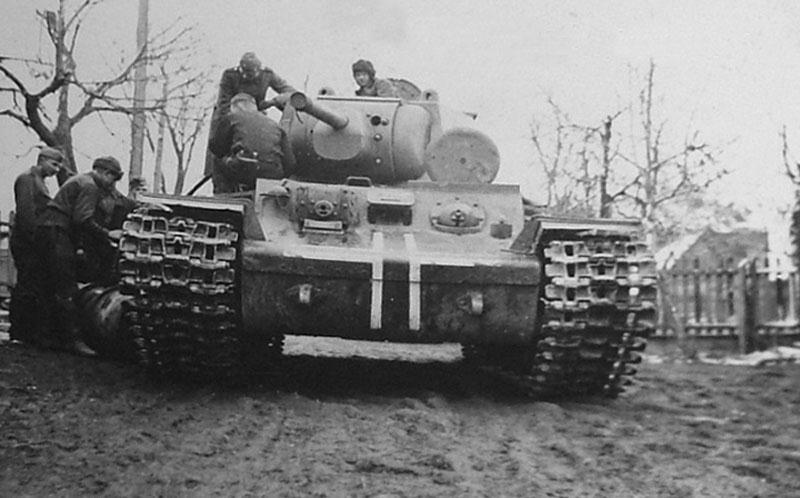 This rare Pz.Kpfw. 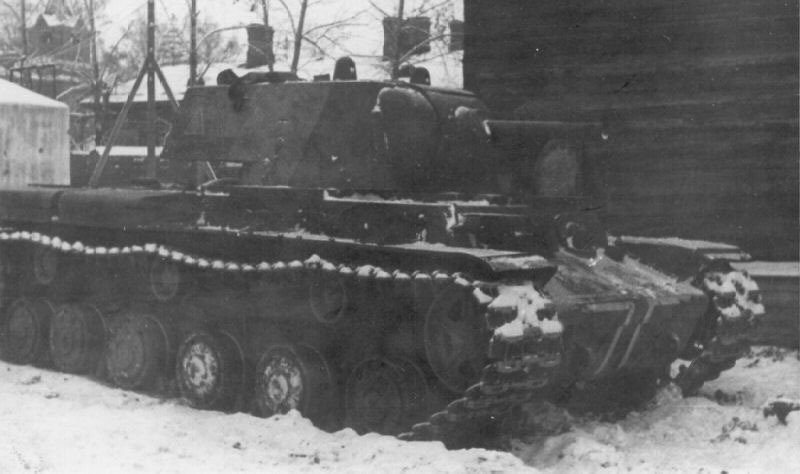 KV I Flamm with the flamethrower mounted in the superstructure front was used by 58 Infantry Division in Krasnoe Selo town, near Leningrad. 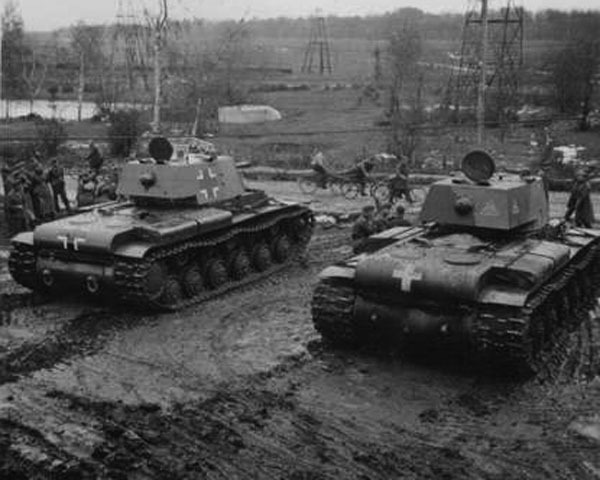 Three captured KV tanks. 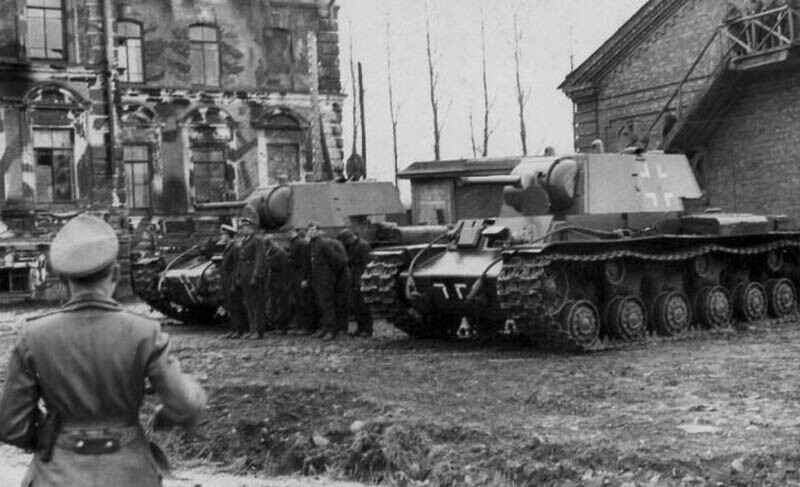 On the foreground a rare KV-1 with flame thrower in frontal plate. 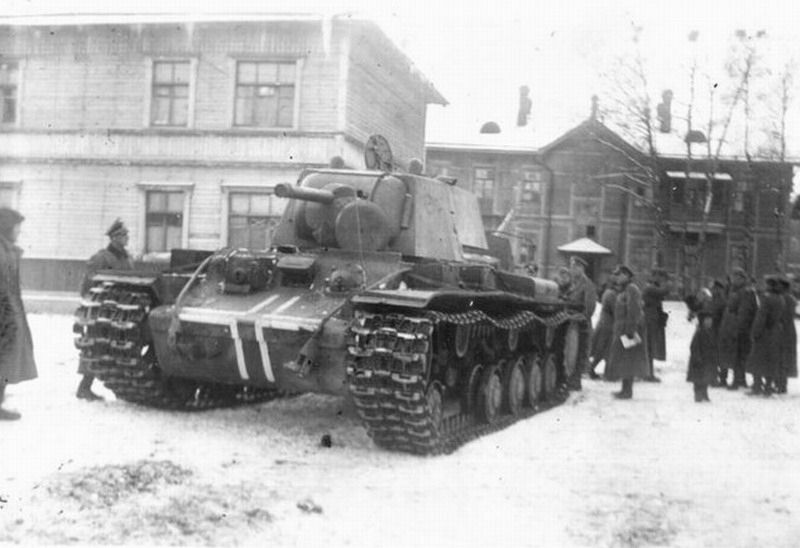 Unusual KV-1 with flame thrower in frontal plate. 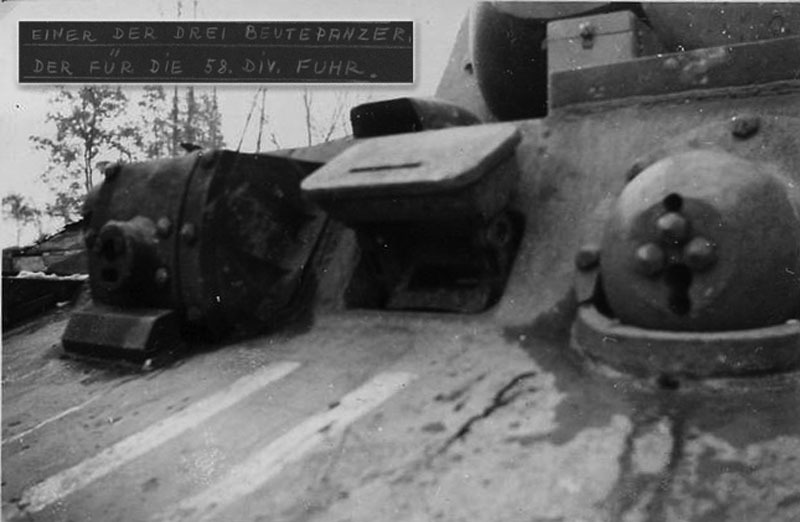 Note also a lost roadwheel. 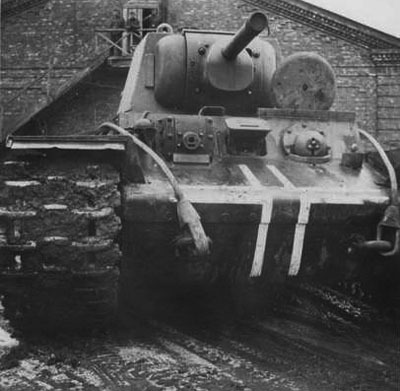 Probably camoflaged (strip on the turret) KV-1 had a old soviet marking - white triangle on the turret and germans cross on the front of hull. 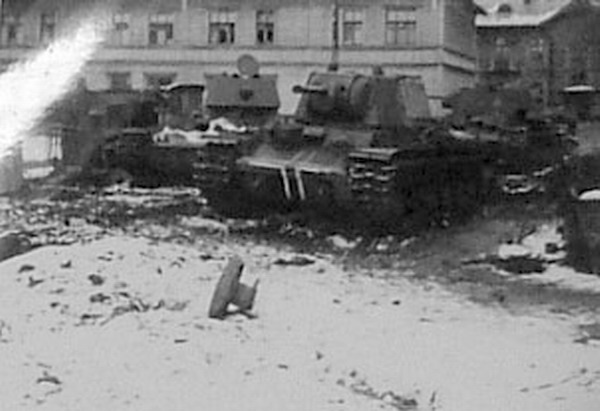 Two KV-1, note a flame thrower on the left tank, on the right tank flame thrower unmounted. 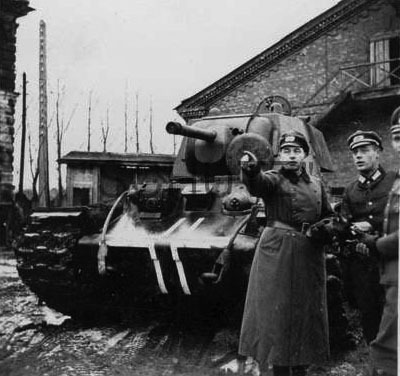 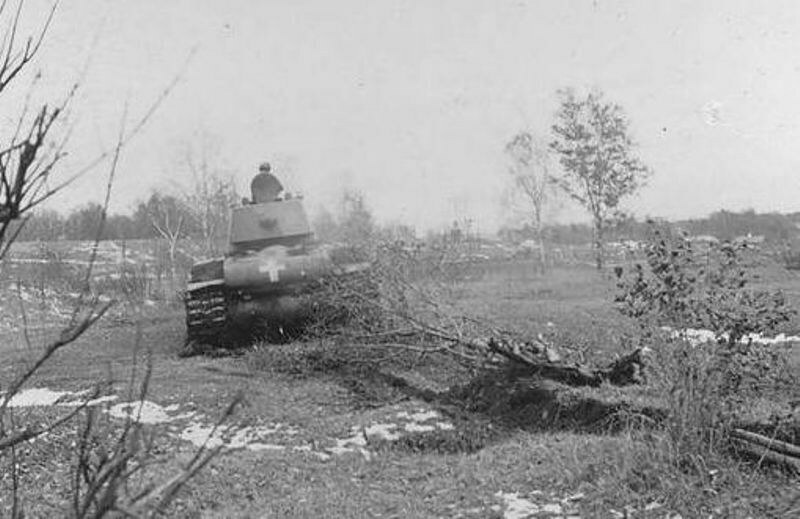 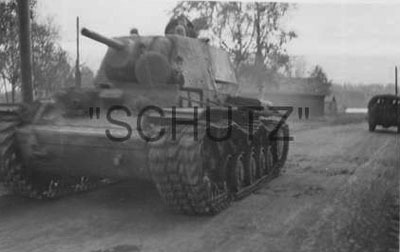 Germans captured KV-1 Flamm without germans marking move on the road.